In response to a petition from Food & Water Europe, ExxonMobil is at the center of yet another inquiry into its role in promoting climate change denial. This time in Brussels, the seat of the European Union. And the consequences for the company are getting real. 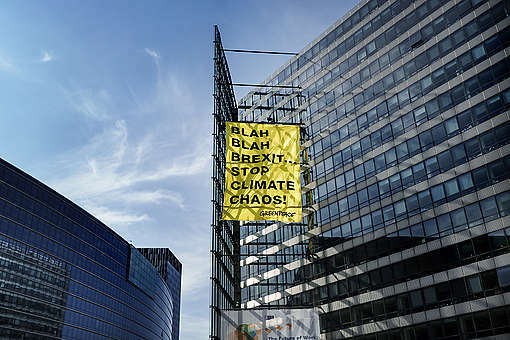 On 21 March, two European Parliament committees held a joint hearing into climate change denial and invited Exxon CEO, Darren Woods, to participate. But he refused to show up or send someone else on the company’s behalf. By not attending the hearing, Exxon lobbyists may end up being banned from the European Parliament. But Exxon’s attempt to avoid public questioning is no surprise. It did the same thing when the Commission on Human Rights of the Philippines requested Exxon and 46 other companies to be part of an inquiry about climate-related human rights abuses. And let’s not forget Exxon is also facing an investigation by the Massachusetts Attorney General, and an ever-growing number of climate cost recovery lawsuits being filed in the US by cities, counties, states, and even a private fishermen’s association. Recent research shows Exxon has spent over €35 million since 2010 in lobbying EU institutions to delay and weaken essential climate action. But the company’s influence doesn’t end there, Exxon can also rely on a number of major trade associations to lobby on its behalf. In 2017, Monsanto (now a Bayer subsidiary) refused to attend an EU Parliament hearing on allegations of regulatory interference for the continued use of glyphosate, a key ingredient in the company’s profitable RoundUp weedkiller. European parliamentarians removed the company’s privileges to lobby based on rules that allow for revocation of parliament access for companies ignoring summons. Green European parliamentarian Molly Scott-Cato is pushing to apply these same rules to Exxon. It’s time to protect European policy-making and ban lobbying by fossil fuel companies – just as the World Health Organisation did with public health officials and the tobacco lobby. The oil industry, including Exxon, has known for well over 50 years that burning fossil fuels would lead to climate change. In fact, ExxonMobil (then Humble Oil) led some of the world’s earliest scientific research into climate change, with findings that acknowledged the link between fossil fuels and atmospheric carbon dioxide as early as 1957. Instead of raising the alarm, fossil fuel companies spent millions to deceive the public and policymakers as part of a massive scheme to delay actions that could reduce demand for their products. 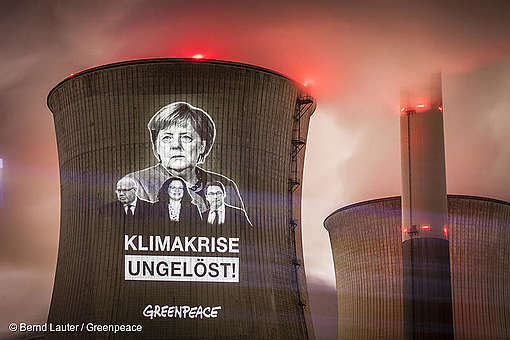 Governments lost more than a generation worth of time to act on climate change because of the fossil fuel industry’s efforts to delay action. Now communities must adapt to protect people, especially those most vulnerable. And the fossil fuel industry’s lies are hurting us all. While Exxon is finally communicating climate change poses risks, words alone are not enough. 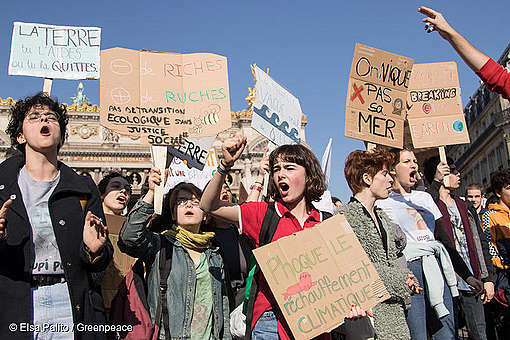 Fossil fuel companies must demonstrate that business models match their stated positions. There is evidence that, if unchecked, the current plans of fossil fuel producers could contribute to overshooting the temperature rise limits set out in the Paris climate agreement, causing a severe environmental breakdown. Climate denial is not an option and those who disingenuously promote it need to be accountable. People and communities are using the law to push back on governments and corporations, to lead the way towards sustainable economies. Make a difference. 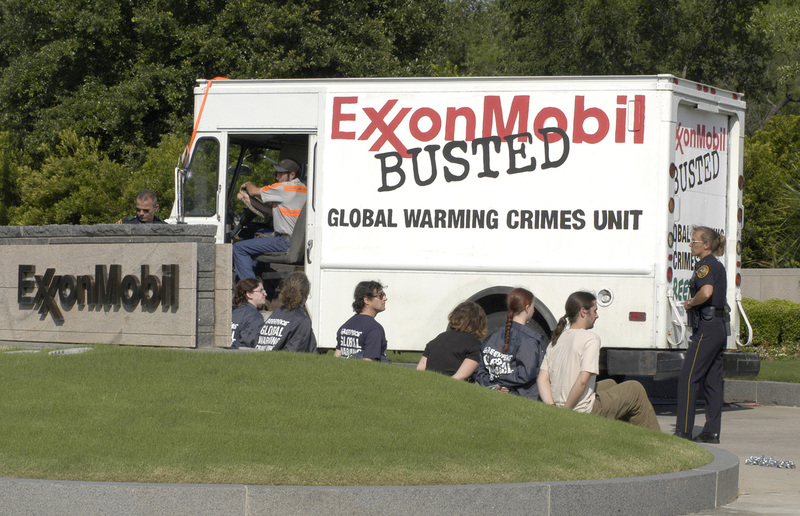 Don’t let @ExxonMobil get away with climate denial. Ask the company any of these questions by tagging @ExxonMobil on Twitter.